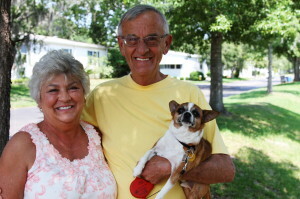 Whether you already own a pet or are thinking about adopting one at any point in the future, just remember that not all senior living communities in the Orlando area permit their residents to own pets. Hyde Park is pet friendly, welcoming of retirees from all walks of life, and conveniently located in peaceful Winter Garden right on the outskirts of Orlando, FL. Plus, we have a wide variety of resort-style amenities onsite, including an outdoor swimming pool and hot tub, banquet hall, Bingo hall, fitness center, and shuffleboard courts – just to name a few. For more information, contact Hyde Park today. We are one of the premier 55+ senior living communities in the Orlando, FL, area featuring excellent amenities, affordably priced homes, pet friendly policies, and an unbeatable location.